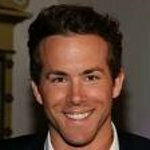 Ryan Reynolds talks about his roles as executive producer and narrator on the new film The Whale in an exclusive interview with The Humane Society. “The Whale” is the true and poignant story of Luna, a young orca separated from his pod, who turned up alone in a narrow stretch of sea off the coast of British Columbia in 2001 and refused to leave. The film invites us to reexamine our preconceived ideas about these amazing marine mammals and consider the many complex effects of our interaction with wildlife. 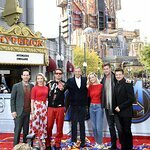 Narrated by Ryan Reynolds, and executive produced by Reynolds and Scarlett Johansson, “The Whale” is co-directed by Michael Parfit and Suzanne Chisholm. HSUS: As the narrator and executive producer of “The Whale,” what compelled you to take such an active role in this documentary? Ryan Reynolds: The story was so compelling. The idea that this creature challenged so much of our presumptions about wildlife. That a whale could, would and did reach across that line to connect with us is mystifying. Scientists often debunk the idea that a mammal could experience emotions and/or feelings similar to ours. Luna did this. Luna showed it’s possible for a creature—even a whale—to crave connection. Not only needing this connection but demanding it. Had you any prior knowledge of Luna’s story? My brother is a Royal Canadian Mounted Policeman who works very near Nootka Sound, the harbor Luna inhabited and made so famous. I’d heard his account of the tale and read some of the headlines. What would you like audiences to take from “The Whale” and Luna’s story? Not to get too esoteric about it, but it reminds me that we’re all in this together. It reminds me that now more than ever we need to take care of each other—and this applies directly to wildlife, the environment and everything under our sun. Are there any other animal-related films or documentaries that have changed your perspective? Throughout the years I’ve been pretty blown away by David Attenborough's work on just about everything which moves, slithers or crawls across this planet. Do you share your life with any animals? I have a dog named Baxter who was rescued during a road trip through Texas. Got him at a Houston animal shelter. We seem to like each other, and I feel pretty confident he’s gonna keep me. Find out more about The Whale here.